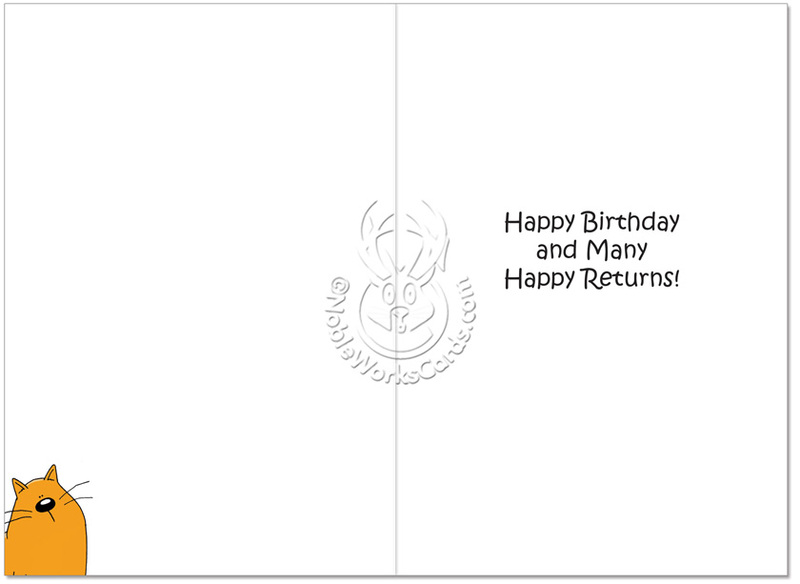 Inside Reads: Happy Birthday And Many Happy Returns! 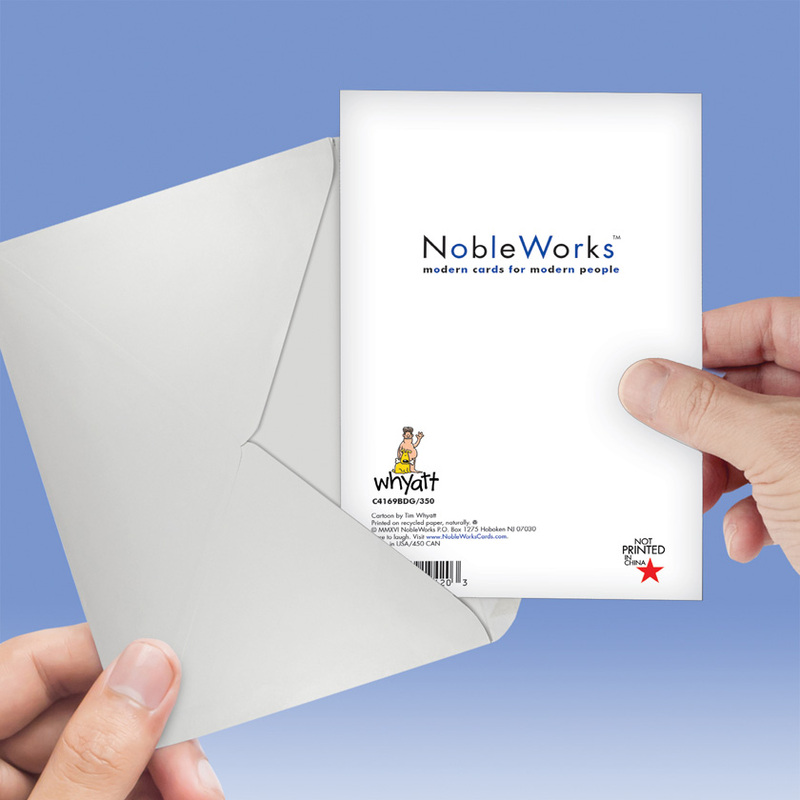 Felines have never been funnier than in the Nine Lives Birthday Humor Paper Card available at NobleWorks Cards. Illustrated by Tim Whyatt and printed in the U.S. on recycled paper, the Nine Lives Card takes a heavenly look at what makes one certain cat tick. 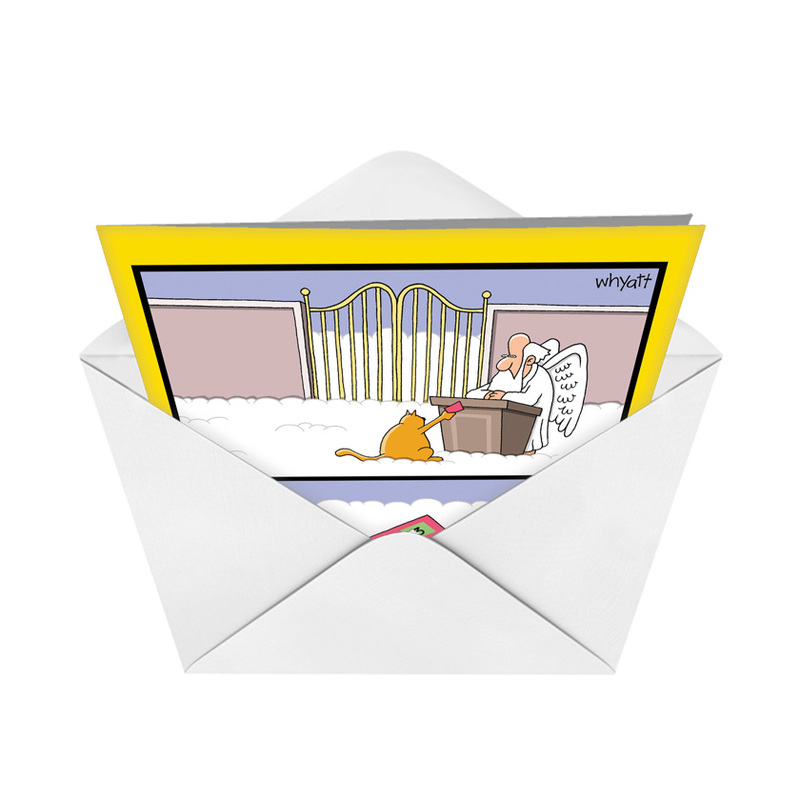 Funny and irreverent, like the best of the crass and hilarious NobleWorks greeting cards, this card provides the "ticket" to tickling your funny bone. 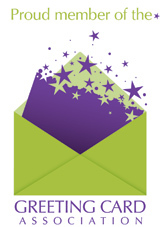 Toss good taste in the litter box and let loose with unabashed laughter. 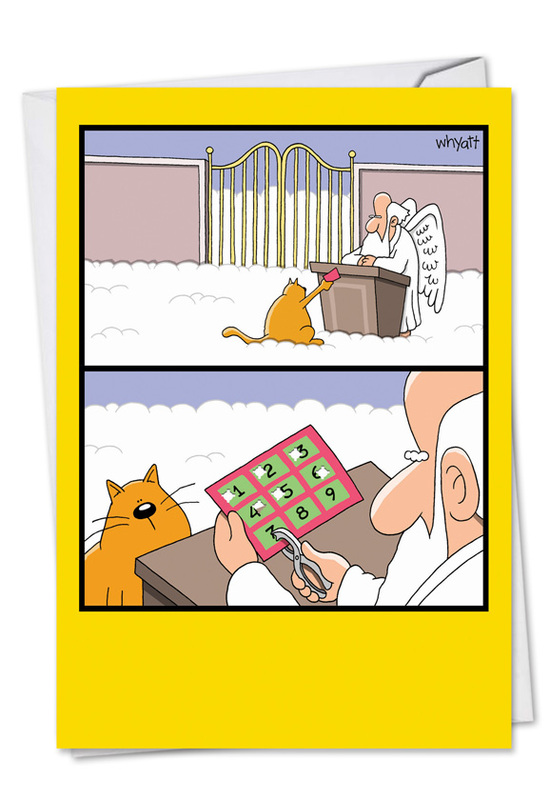 The Nine Lives Birthday Humor Card comes with free shipping from NobleWorks Cards, and you can benefit from the company's bulk rate pricing policy by ordering several and saving more money per card.